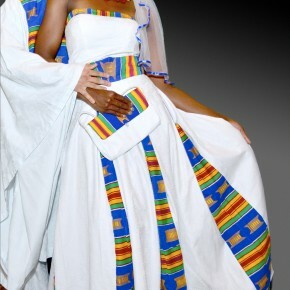 The majesty of African royalty starts with a gown fit for a queen …that sets the stage for a cultural theme. TeKay Designs Inc. announces the launch of Queen of The Brides gown collection during runway presentations in Houston and Dallas, Texas. The Houston based fashion design house specializes in unique bridal, formal-wear, ethnic fashions, accessories and custom jewelry. 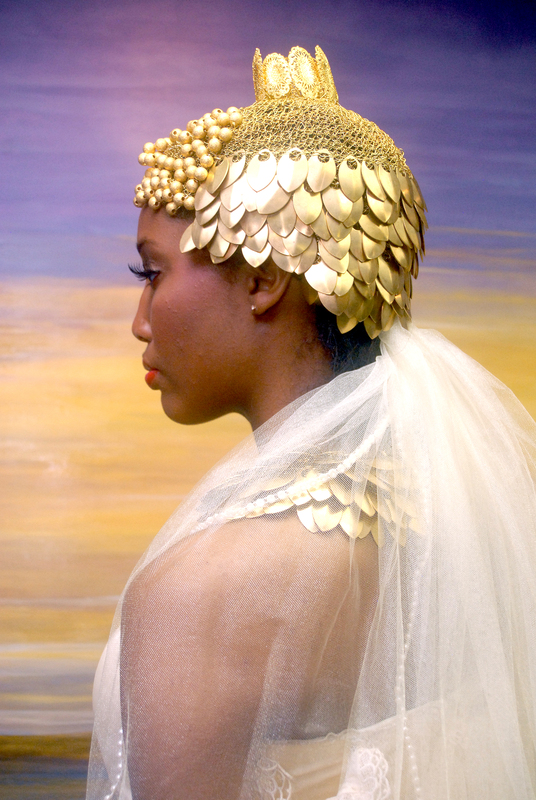 “Queen of the Brides” is a limited edition collection that features couture ethnic bridal gowns complete with jewelry and headpieces, a staple of Tekay Designs’ aesthetic. 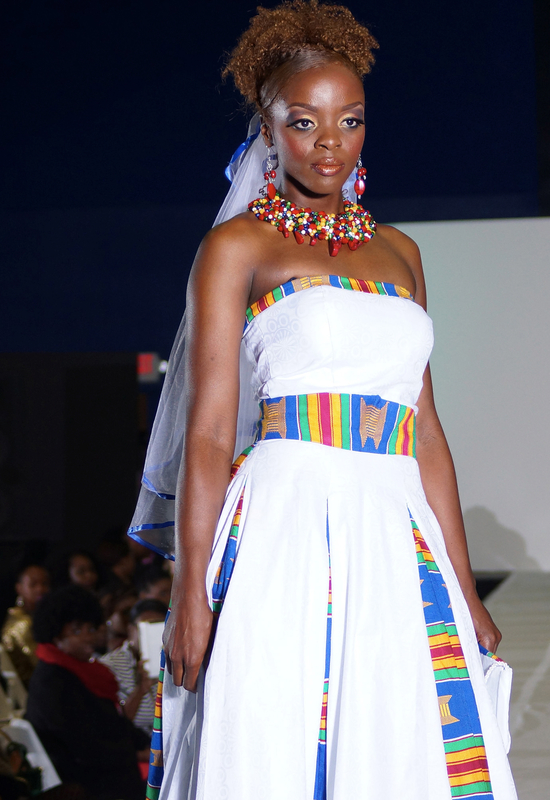 TeKay has been diligently creating ethnic bridal gown concepts that personify royalty. 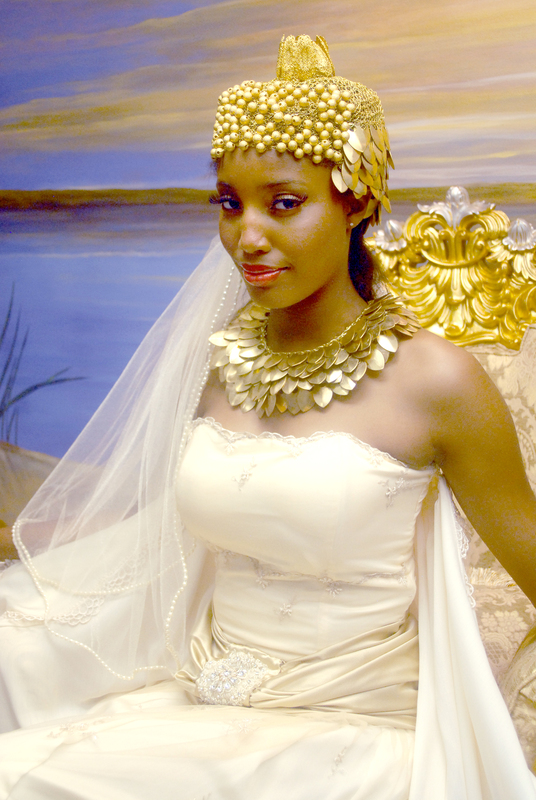 The inspiration for the Queen of the Brides collection are historical fashion icons from ancient civilizations of Egypt, India, Ghana and South Africa. 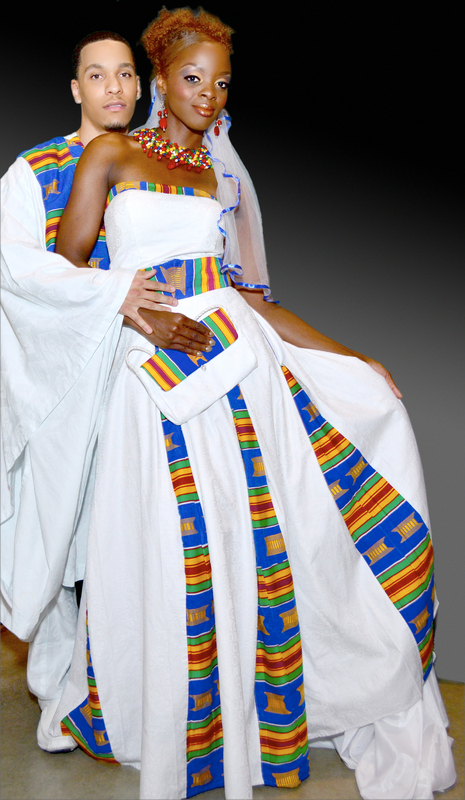 The gowns represent women of power throughout history and are infused with cultural elements from a distinct time in history. The initial collection includes gowns named after Queen Nefertiti of Egypt, Queen Cleopatra VII of Egypt, Queen Cleopatra Selene II of Egypt, Queen Ankhesenamun of Egypt, Mumtaz Mahal – Mughal Queen of India, Manta Tisi – The Queen of the Wild Cats in South Africa. 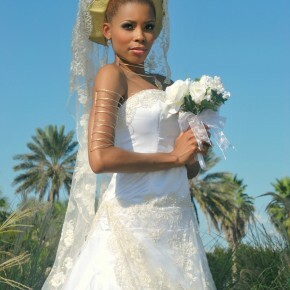 Each bridal ensemble is worn with a headpiece or veil, jewelry and elaborate embroidery or beading stitched onto the gown. The fabrics include silk, embroidered lace, beaded Dupioni silk, Duchesse satin, Poe de Soua, Aso-ake, Vintage lace trim, crystal and rhinestone trim. The dominant colors in the collection are gold and silver which is symbolic. 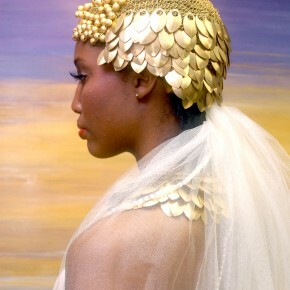 In ancient Egypt, yellow was the symbol of gold and immortality, white represented happiness. Necklaces, armlets, bracelets, and anklets were made of gold, coral, pearl, agate, and onyx. Collars made of shells, beads, and precious stones set into gold were worn as a necklace or attached to a neckline made of cloth or leather. 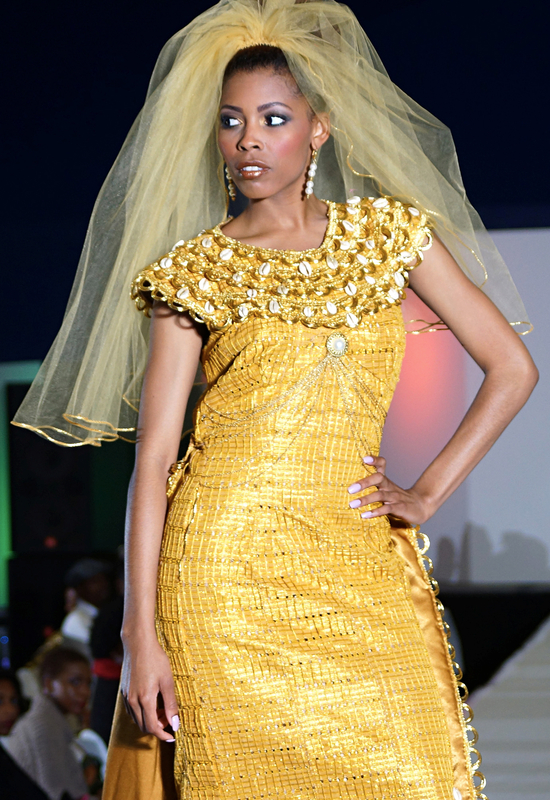 The Queen Ankhesenamun gown is made of hand woven Aso-ake fabric with gilded lurex threads and has an embroidered and beaded collar adorned with cowrie shells, and detachable train with embroidered symbols. The distinguished Queen Nefertiti gown is created in Ivory Poe de Soua fabric with gold and rhinestone crystals, gold appliques and glass beads hand stitched onto the dress. The Queen Mumtaz Mahal Gown has a mermaid silhouette and shimmering gold embroidered lace with amber crystals. Taj Mahal (one of the wonders of the world) was dedicated to Queen Mumtaz Mahal by the Mughal emperor, Shah Jahan of India. The highlight of the collection is the Queen Cleopatra gown in a butter colored crystal embroidered lace. It’s designed with heavily beaded crystals, a gathered silk waist sash, and a detachable sheer train edged in a lovely scalloped lace trim. To accommodate themed ceremonies, each ensemble can have a matching gown set for the brides’ maids and suits for grooms men. 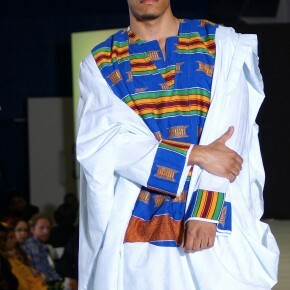 “To embrace historic culture in present day ceremonies is very meaningful and symbolic. To know your past is to know your future. 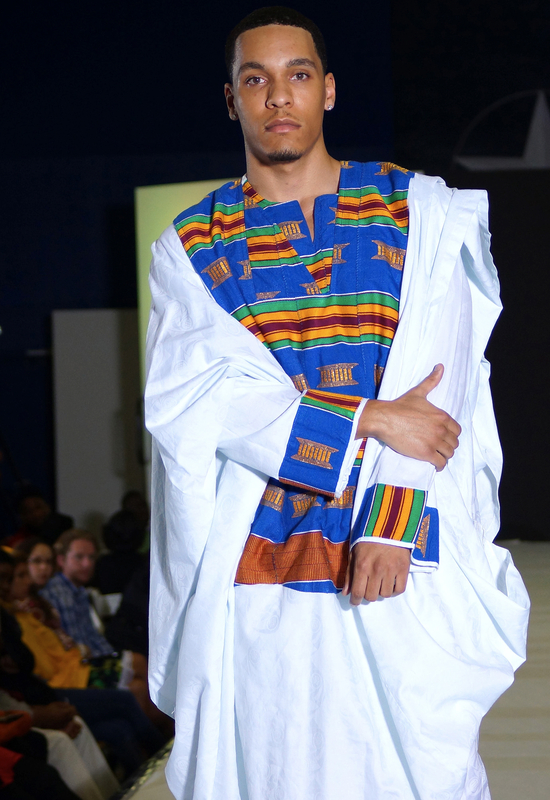 Cultural themes set a forward thinking tone of confidence and success for a groom and his queen.”, says Creative Director Kimma Wreh. 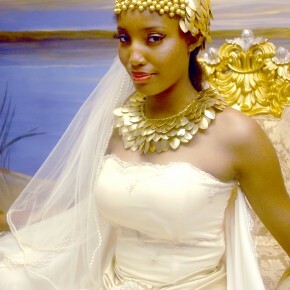 Queen of the Brides was launched in 2012 and is a wholly owned subsidiary of TeKay Designs Inc. which was founded in 1998. Queen of the Brides offers high-end historical bridal and formal gowns that include quality pieces of jewelry representative from the same time period. 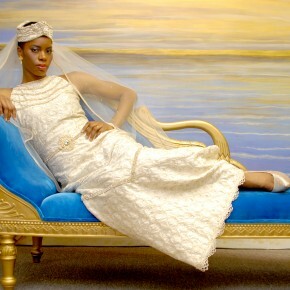 The queen Of The Brides collection has been featured in Wedding Pages magazine and Wedding Style Guide International. Designing high quality products is our pledge to our customers. 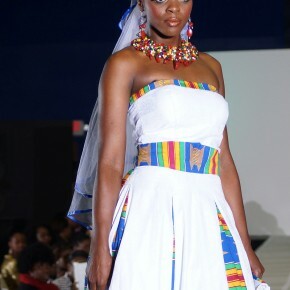 TeKay Designs, Inc. is an international fashion house with headquarters in Houston Texas. 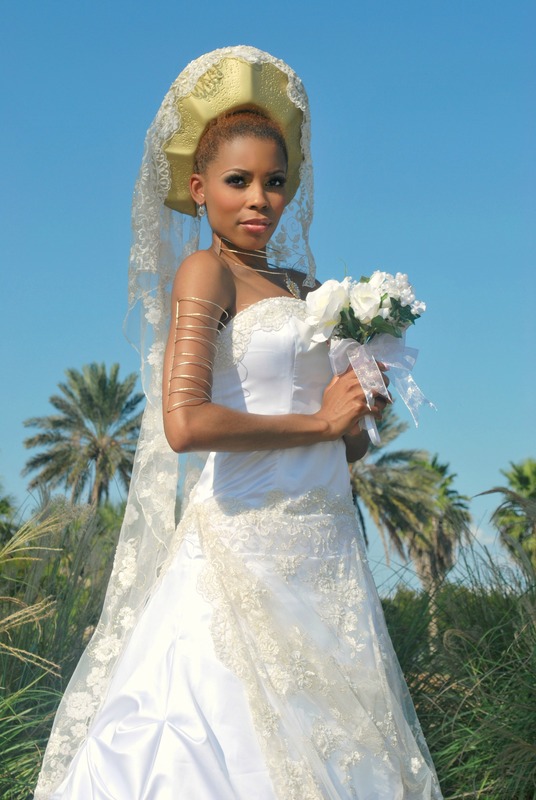 We specialize in bridal, formal, ethnic, accessories and fashion jewelry for all sizes.